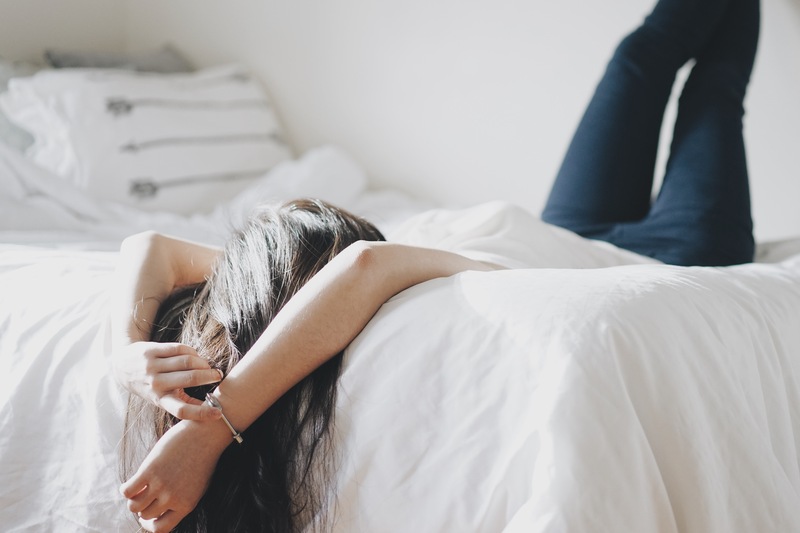 If you wake up every morning with an aching lower back but the pain subsides within a half hour after normal activity, chances are you are no longer getting proper support and alignment from your current mattress. If this is the case, there are other tell tale signs that will verify your concerns. pull off your sheets and mattress protector, and check out the surface of your bed. Are there visible lumps, sags or wear spots? If so, your mattress is most likely the cause of your sleepless nights. Industry average is 7 years for the life of a mattress. Of course the quality of the bed can certainly increase or reduce that number. Typically, even with a higher end purchase, once you get beyond the first 7 years, support and comfort levels of most mattresses are on the downward swing. Not sleeping well decreases your productivity at work or school and leaves little left in the tank for leisure time. A good night sleep not only refreshes and rejuvenates your body, it increases the quality of your life! Determining your comfort zone is the single most important step in finding the right mattresses. Individual comfort preference is a very subjective and personal thing. There are many factors that influence that just right feel. Age, physical condition, preferred sleep position and whether or not you have a sleep partner all are are contributing factors to what makes for a comfortable sleep surface. In this position, most of the body’s weight rests squarely on the shoulders and hips. Side sleepers tend to prefer a softer feel that allows foam to contour and cradle their bodies; alleviating potential pressure points. *Use a thin pillow, or no pillow at all to reduce the angle of your neck and head. *Stomach sleepers often choose a firmer (but not too firm) mattress that will not allow their lower back to dip and cause lumbar pain. A medium firm, often called a cushion firm or luxury firm is a good place to start. *A note to expectant mothers, Reasons why not to sleep on your stomach should seem obvious in the later stages of pregnancy, ​but even early on, stomach sleeping can cause additional strain on the spine and should be avoided if possible. Sleeping on your back is widely regarded as the best position for most people. it takes pressure of the shoulders and hips and keeps your body in better alignment. A special caution though, Sleep Apnea sufferers should always avoid this position. Many back sleepers prefer a firm to luxury firm. Depending on how much time they remain face up or change to alternate positions, a softer feel may be more desirable. Back sleepers waver from firm to plush depending on how much they remain face up or change to alternate sleep positions. These are all however, just tendencies, not ironclad indicators of what will work best for you. Other issues such as heat sensitivity can affect overall comfort. Many factors can contribute to making a bed too hot to be comfortable. Not to overlook the obvious, setting your thermostat to a sleep friendly temperature is a good place to start. Too hot or too cold, for that matter, can create an uncomfortable sleep environment. An individual’s metabolism also affect how a body reacts to heat. The density and composition of foam used in a mattress has a direct relationship with breathability and heat retention issues. For example, people who “sleep warm”, sometimes experience issues with memory foam which by design responds and reacts to body heat. With traditional mattresses, support is derived from the amount of steel used in construction of its coils and the quality foam on top. Notice we did not say coil count which is the source of much confusion for many would be mattress buyers. Coil densities and amount of turns per coil can vary greatly from one manufacturer to another. Coil count is only relevant when comparing mattresses within the same manufacturers product that uses the exact same coil throughout the line. The lower end product may have 650, the mid 800 and the premium bedding 1000 count coil system. Only when all else is equal, will coil count be a true measure of comparison. Otherwise, you could wrongly assume that a bed with a lighter weight 15 ½” gauge 800 count provided more support than a 650 12 gauge with with more turns per coil. Pardon the pun, but don’t need to lose sleep over coil count. In fact, there are many outstanding options available with no coils whatsoever. Memory foam and latex provide great support with a significant reduction of pressure points that traditional coil spring beds can cause. As is the case with coil, differences in support and comfort vary depending on the quality of materials used. How much should you spend on a mattress? While no one is suggesting anyone spend beyond their means, we are talking about where you reside for 1/3 of your life. A place where your body has an opportunity to rest and be better prepared both physically and mentally for the remainder of the day. See our page titled “The Benefits Of Sleep”. The goal is to find the best “value”, not necessarily the most or least expensive but rather the mattress that best suits your sleep needs without paying more than you should. The good news is that for most people, that means not having to pay over $1,000 for a supportive, relatively comfortable queen size bed. This notion is enthusiastically supported by extensive independent research done by ConsumerReports.org and SleepLikeTheDead.com. It is noteworthy that although there are only a handful of household names in the Mattress industry, there are a significant number of exceptional, highly rated companies that have entered the market using the same or similar components that are outstanding values. many of these manufactures will deliver to your doorstep often free of charge and offer fair return policies if dissatisfied. These features can help to eliminate reservations a buyer may have previously had about making an online purchase. In fact, research also shows that there is little to no difference between overall customer satisfaction when buying a mattress on line VS an in store purchase. Online shoppers often tend to do significantly more research prior to making a purchase; thus increasing the odds for success. This is not the fake news .but the real news .